The excitement over the launch of Margaret’s new book Wrapped in Lace is growing by the day – especially when on the receiving end of emails about how cool it is to see a whole edition of Knitting Daily devoted to it. I’ve kind of run out of words to describe how awesome it is to have such an inspiring grandmother. Honestly, truly. 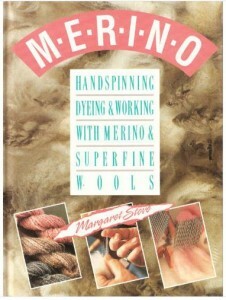 It makes me wish that perhaps instead of going to university i’d gone for the daydream plan of moving to Christchurch and learning all I possibly could from Margaret. You’ll see the mention that you can download one of the patterns for free. Yep, gratis! Here’s the link, go and download it. 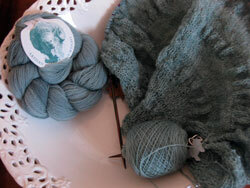 I think the challenge is on to knit it – perhaps once i’ve finished Citron.